I’ve always said that I don’t really believe in apologizing for absences from social media, and I really don’t. So this isn’t an apology as much as it is a reason, as well as an excuse to share with you my BABIES!! Okay, not really babies but even better….PUPPIES! Today I am straying away from the bookish to share with you what has been a big part of my life since the holidays: my family’s puppy endeavor! The last three dogs we have had, my parents have talked about trying to have a litter of puppies. A golden retriever, a miniature schnauzer, and now with the second golden retriever, we’ve finally stepped up and taken the jump. Our baby has had babies! Of course she isn’t a baby any more, but your dog will always be your baby. Ellie has been such a champ going through this whole process. We did a lot of research going into this event and from what we read, some mamas can be very territorial of their pups, not letting their humans near in the beginning and not wanting to leave the area much. Ellie, however, is a perfect mix of taking care of the littles when she needs to and letting them get their rest and having her own (and her owner’s) self-care. She needs her own space and cool off period (the room where the puppies are has to be a consistent 82-degrees F! It gets pretty warm!). Right now, the puppies are 3 weeks old. There are 6 adorable, purebred golden retriever pups–5 boys and 1 little girl. At 3 weeks, they are just starting to open their eyes and their hearing is just developing. They are also just starting to walk, which is honestly the funniest thing. I never really thought about dogs figuring out how to walk, but some of them use their two front legs and drag their back legs–kind of salamander-ish. A couple of them can get up on all fours for about 5 or 6 steps and then just flop down in a little puppy pile. Mostly they just sort of climb all over each other to get from point A to point B and its just adorable. And of course, I can’t forget to mention (as you can see from this picture) that right now, their tiny nails and tiny teeth are incredibly sharp! Obviously, I am loving these little cherubs grow and change, and as my dad keeps saying “Its amazing, the instincts that Mother Nature has instilled in them.” And he’s not just talking about the babies, but mama pup too. She had her litter and pretty much knew what to do! Life is so messy (and smelly and gross) but so sweet and so beautiful. I hope you can all take some time to enjoy it today. What day is it? TAG TUESDAY!!! So this week I’m taking a break from the bookish and substituting for the tube for a week! I don’t always watch very much but I was tagged by Fictionally Sam so I have to answer the call! 1. Favorite show – Off the top of my head, gut reaction, first thing that comes to mind when you ask me this question, I would say that my favorite show of all time is House M.D. 2. Favorite genre – I like medical dramas, crime thrillers, comedy, historical stuffs, DIY….a pretty good variety just so long as I deem it good entertainment. 3. Least favorite show – The Curse of Oak Island (my husband watches this religiously). Also South Park and Archer. 4. Most re-watched show/favorite show to binge – House, Grey’s Anatomy, Family Guy, Friends, Criminal Minds, Mind Hunter. 5. Do you prefer to watch things week-to-week or binge watch? Binge, duh! I don’t mind comedy sitcoms on a week-to-week basis but dramas and thrillers are pretty much meant to be binged, amiright? 11. Guilty pleasure show – The Vampire Diaries. Riverdale? Maybe Pawn Stars or American Pickers. Ghost Hunters? More of the reality dramas. And that’s it my friends. These are my faves and my least faves….at least as they come to me off the top of my head. I’m sure I’m missing some, but its the best I can do. If you’re interested, give it a go yourself. Be sure to tag me so I can see your answers too! Received an ARC and not reviewed it – Naughty! I did this once and it hit my Netgalley score so hard I’m never doing it again. Next year, my answer will be “nice”! Have less than 60% feedback rating on Netgalley – Nice! I am currently sitting at 81%. Its one of my New Years resolutions to get that number up. I WILL hit at least 90%, gosh darn it!! Rated a book on goodreads and promised a full review was to come on your blog (and never did) – Naughty. I rarely ‘promise’ a full review to come. I think maybe once or twice I have. I really only rate or rate and review. Its all or nothing. I am trying to get better at this too. Folded down the page of a book – Nice. I really don’t mind this too much, but I have so many nice bookmarks now I have no reason to fold. I used to though. Not anymore! Accidentially spilled on a book – Nice. I am SO careful of my books. I do NOT spill. DNF a book this year – Naughty. I also don’t think that this is a bad thing necessarily. I just have come to realize that it takes a lot of time to read a book, so why waste it on a book you aren’t enjoying? Bought a book purely because it was pretty with no intention of reading it – Nice. I will admit that I cover buy relatively frequently. 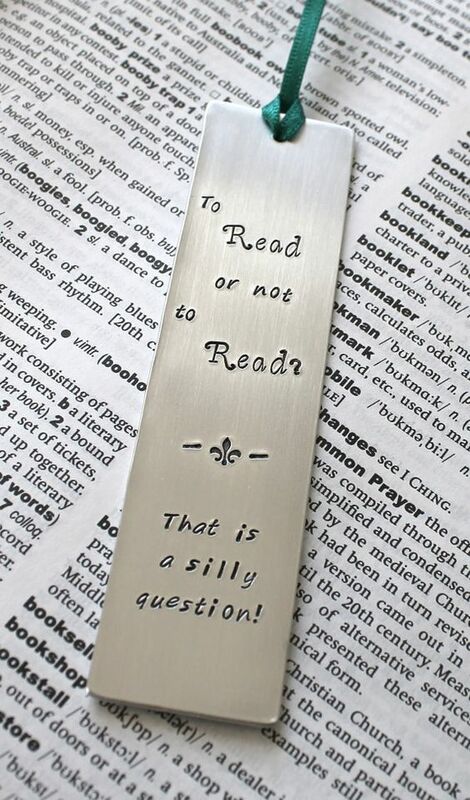 However, I always intend to read it. And I am ok at walking away from a beautiful cover if I’m not going to read it. Read whilst you were meant to be doing something else (like homework) – Naughty. I do this all the time. But also, I have learned the skill of multi-tasking….working and listening to an audiobook! Skim read a book – Naughty. Once you get past the point of DNF and then a book takes a turn for the worst and you just know you’re in for a LONG RIDE…yeah. Been there. Completely missed your Goodreads goal – Nice. I will PROBABLY miss my goal of 75. I’m not giving up yet though. I am currently at 62 books. Borrowed a book and not returned it – Nice. I am not really a borrower unless its the library, and I bring those back! Started a review, left it for ages then forgot what the book was about – Naughty. This I so fairly often. I very rarely write a review right after finishing a book. I Just need to let it sink in. But then sometimes I sort of forget to go back and finish a review….whoops. Wrote in a book you were reading – Nice. I really don’t write in books unless its for school, and I’m not in school any more. At this point, if a note needs to be made, I make it on a Post-it or in my phone and come back to it later. Finished a book and not added it to your Goodreads – Nice. No way! If I read a book, I want “credit” for it! Those are going straight to GR!! Borrowed a book and not returned it to a friend – Nice. I have already mostly answered this one. I really don’t borrow books, but I will add that at the same time, I don’t really lend books either….for good reason! Dodged someone asking if they can borrow a book – Naughty. Sorry but….I just don’t trust people! Broke the spine of someone else’s book – Nice. I definitely don’t do this. Maybe I would ask first, but I never initiated it. Took the jacket off a book to protect it and ended up making it more damaged – Naughty – I literally just did this today! It really wasn’t too bad but I am so good at squishing and wrinkling them! Sat on a book accidentially – Naughty. Uhhh, yes. Do you know how many books you have to pull out at a time to have booksta pics? A lot. They litter your furniture and floor. I’ve definitely sat on them. So that’s all folks! My score: 7 Naughty/13 Nice. Woo hoo!! I’m a nice bookworm!! Where do you rate? This pretty much sums it up. Love you guys! #24in48 = One of my FAVORITE read-a-thons is HERE!! If you follow my blog, you know that I LOVE read-a-thons!! Long, short, genre-themed or general, I just adore them! Just in case you are new to the blogging or bookish world, a read-a-thon (or you might see it abbreviated as RAT) is when we bookworms ‘get together’ for a certain pre-determined period of time and read as much as we can in said time. Some RAT’s have a group or buddy read, some have a theme (Halloweenathon [fall books], Alphabethon [each round they read a different letter of the alphabet]), some do prizes, some are a quick 24 hours and some last a full week or more. I love being part of a community that has a common goal that I love (books!) and then dedicating time to do pretty much nothing but read. So, what am I reading for this weekend’s 24 in 48? Well, I have several books up on deck. First up, I have two that I am planning on finishing up and those would be The Wicked Deep and Children of Blood and Bone. I am really enjoying both of these so as much as I don’t want these books to end, I am looking forward to knocking these both out! After that I will be picking up two new books and these will be one new audiobook and one new ebook for a book tour. So these will be Then She Was Gone and Heart of Thorns. Ever since I finished The Last Time I Lied, I’ve been craving more good thrillers so I went right into The Wicked Deep which is spooky and now Then She Was Gone which I heard is a good mystery/thriller and I love the cover! So I’m pretty excited about that one!! Also, I went to the library today and picked up way more new release YA fantasies than I can chew as well so….who knows what trouble I can get myself into this weekend. Hopefully lots! Let me know if you are participating in this or any other challenges or read-a-thons this weekend….or just what you’re reading! I always love to know! Happy reading! !